During this one-day class you will learn how to create a mannequin base using surface stitches and felt padding. 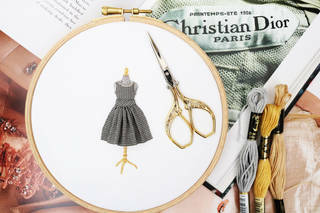 To complete the project you will then make a miniature gown in the style of Dior. All materials provided. Workshop led by Rachel Doyle from the Royal School of Needlework.